World Archeology: The Race to save Mes Aynak. American documentary maker Brent Huffman is racing against time. 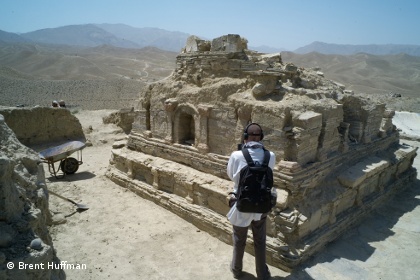 Since 2011, he's been trying to raise money for a film to document the last days of Mes Aynak, a 2,600 year old Buddhist city in Logar province, before it is destroyed by a Chinese mining company. government. However, a major campaign by Huffman and others has succeeded in winning more time for archaeologists excavating the 400,000 square metre site, which includes Buddish temples and monasteries. "The biggest success we've had is to get the Ministry of Mines in Afghanistan to really pay attention to this and to see the significance of the site - and to see this global outcry really recognising how important this site is." Huffman says one big breakthrough was getting Buddhist countries involved in the campaign. "In Thailand we actually had people protesting in the street," he says, "they protested outside the UN and UNESCO offices there. 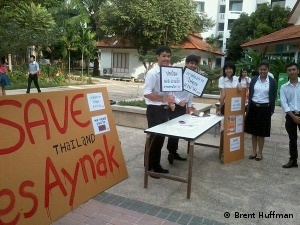 They did video stories, they did Facebook and they also really pushed support for our petitions." And that pressure has yielded results. "We've been able to buy more time" adds Huffman. "Recently the deadline has been pushed to 2014. All that's relatively good news. 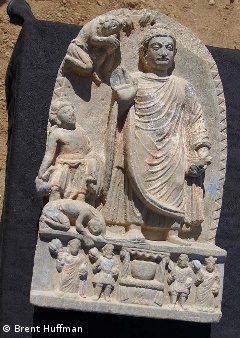 But still Mes Aynak faces the exact same threats." When he talks about the "threats" posed by the Aynak copper mine project, Huffman doesn't just mean the loss of this amazing cultural site - a site so huge that archaelogists say it could take 30 years to excavate properly. He, along with many other campaigners, fears that if it isn't handled transparently and responsibly, the mining project might actually prove detrimental to the local environment - and to Afghans living there. 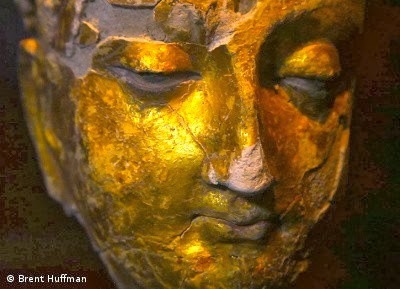 It's been estimated that the huge copper reserves under Mes Aynak could be worth $100 billion dollars. 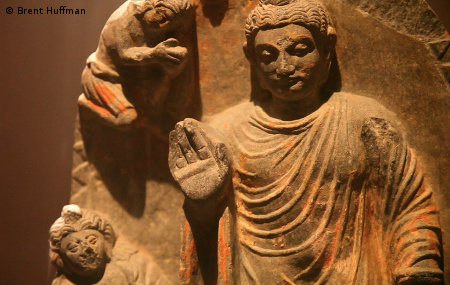 According to the Afghan Ministry of Mines, "The Aynak project represents the largest private sector project in the country’s history, and it will generate more jobs, revenues, and enhancements to Afghanistan’s infrastructure than any other single project to date." Huffman agrees that Afghanistan needs good development projects. However, he has also worked in Africa - and has seen first-hand how Chinese mining companies operate there. And because of that, he fears that China's promises of large numbers of jobs and services for local Afghans will not materialise. "In my experience ... China makes these big promises but if someone doesn’t hold them to it, if the Afghan government basically doesn’t force them to follow through on these things, they just won't happen" he says. 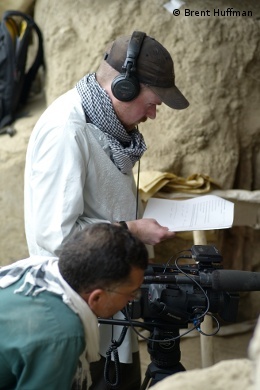 Campaigners - including BAAG member agency Global Witness - have also expressed concerns about the transparency of the Mes Aynak contract. According to Global Witness, if the project is managed well it could provide economic and social benefits for years to come. However, it also warns, "managed badly, it could seriously undermine long-term security and development, and set a poor precedent for much needed future foreign direct investment." Huffman is one of many campaigners who would like to know more about environmental safeguards, saying if the project's managed badly there could be environmental devastation, with aquifers under Mes Aynak poisoned. Such allegations have been denied by the Afghan government. 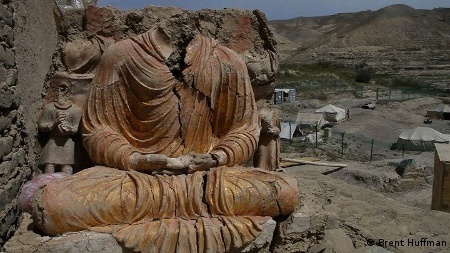 It says it will shortly publish details of the Mes Aynak contract, adding that other issues raised by campaigners are covered "in the laws, regulations and international standards that the Consortium is required to adhere to as specifically stated in the contract". For now, Huffman says, the important thing is to keep up the pressure. "I think the pressure we've exerted on the Ministry of Mines in Afghanistan has been working. We are seeing results. So I would say, 'Let's ramp it up; let's continue on to put pressure on them'. I still want to see the site preserved. I still want to see these temple structures, these monasteries, these Buddhist statues preserved for future generations of Afghans."